In recent years, there seems to have been a shift towards a more health-conscious mindset for millions of people worldwide. This is seen in the growing popularity of exercise techniques such as yoga and pilates and in the growth of the health food industry. However, many adults still spend 70% or more of their waking hours sitting which can increase the risk of certain health conditions (1). This sedentary lifestyle can also contribute to a problem faced by millions of men and women worldwide: hair loss. In this article I’m going to go into the dangers of sedentary behavior, including how it can contribute to hair loss. I’ll then discuss one of the easiest changes you can make in your daily life – the use of a standing desk – and the potential benefits it can have on your hair growth. Of course, keep in mind that a standing desk isn’t the answer to all of your problems. There are many other ways to increase your physical activity and, as a result, improve your health and increases your odds of hair growth. But the standing desk can be an easy addition to your otherwise busy schedule and this is why I recommend it to readers who spend long hours in the office. There are many lifestyle factors that play a role in hair loss. The most common include diet, environment, and smoking and drinking. An often overlooked factor is activity level, and a poor activity level can contribute to poor health and even hair loss. But did you know that sedentary behavior may also be linked to hair loss? Sedentary behavior contributes to numerous poor health effects including stress, muscle tension, and high blood sugar (glucose) levels. These have all been linked to hair loss in their own ways and, as such, it’s crucial that you minimize them in anyway you can. 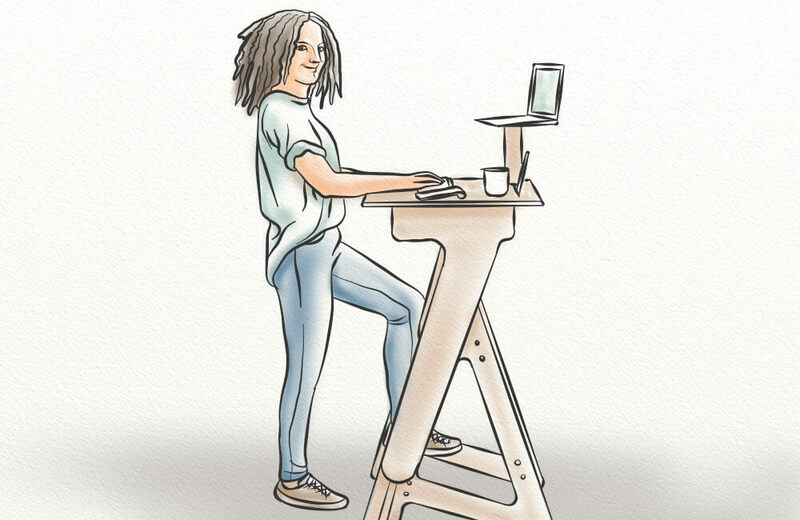 How Can Standing Desks Help with Healthy Hair? While standing desks may seem unrelated to hair growth, you’d be surprised at the benefits they offer. Let’s take a look at just a few. Stress – both physical and mental – can have a negative impact on overall health. In fact, stress has been shown to have a negative effect on the immune system (3). But what does all of this have to do with hair loss? Simply put, stress can impact the amount of oxygen that is delivered throughout the body. This means that non-vital organs such as the hair follicle may be left with poor oxygen levels. The dermal papilla is the part of the follicle that receives blood flow and, therefore, delivers nutrients and oxygen throughout the follicle. If the papilla is not receiving proper oxygen levels, neither is the follicle and the hair strands. As a result, you may notice an increase in shedding. Remember that stress decreases oxygen levels whether through lowered physical activity or increased shallow breathing. The lack of oxygen will continue to disrupt the hair growth cycle and, as a result, less hair will grow over time. And remember the impact on the immune system mentioned above? Well this can lead to the release of pro-inflammatory cytokines which will trigger inflammation throughout the body (including at the hair follicle) (4, 5). Sedentary behavior, such as sitting for eight hours in the office, has been linked to a poorer mental state and increased stress (6). Standing desks, though, have been shown to reduce stress levels and even play a role in mental health improvement (7). The connection between tension and hair loss is still quite new but one that has merit. 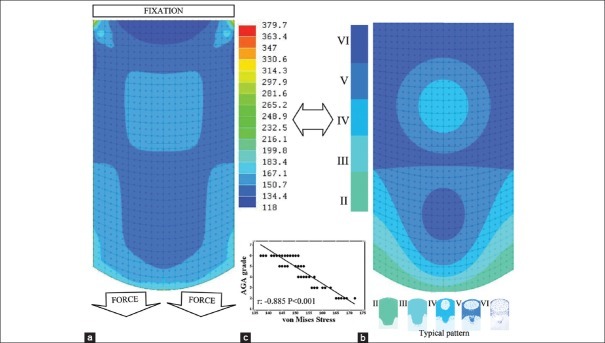 In 2014, researchers studied the effects of mechanical stress on the different layers of the scalp (8). To do this, a geometric mesh was developed which mimicked the anatomy of the galea layer. Standing desks have been shown to reduce the various aches and pains associated with sedentary behavior such as neck and back (9). This is likely due to improved posture, as well as a reduction of stress on certain muscles and joints. As such, standing desks can be useful in relieving bodily tension that would be much higher in a sitting position. If you have diabetes or similar conditions such as hypoglycemia, keeping your blood sugar levels in check throughout the day is important for your overall health. But did you know that blood sugar levels also play a role in hair loss? Insulin Resistance (IR) and blood sugar levels spikes have been linked to hair loss in men and women (10). The exact cause isn’t known, though one theory is that high blood sugar can increase DHT sensitivity at the follicles. The good news is there is much you can do to lower your blood sugar levels and maintain balance throughout the day. A few recommendations include eating foods low on the glycemic index and reducing your consumption of processed foods. Another way to stabilize your blood sugar levels is to remain somewhat active throughout the day (11). You can do this with a standing desk. Does this sound too good to be true? Let’s take a look at a 2016 study that compared the effects of standing, light-intensity walking, and cycling on 24-h glucose (12). The participants were monitored continuously for glucose levels for three days each week, and four weeks were provided throughout the day of the task. This means that increased activity levels, even if only standing as opposed to sitting, is enough to maintain lower glucose levels throughout the day. This is beneficial for overall health, but also in lessening the impact of high glucose levels on hair loss. Inflammation can be caused by many things, including sensitivity to DHT and autoimmune disorders such as Alopecia Areata (AA). And since it plays such a big role in hair loss, then reducing inflammation should be your main focus. However, another step you can take is to increase your activity level. In 2012, researchers from the University College London released the results of a 10-year study which considered the effect that physical activity had on inflammation markers (13). The study consisted of 4,289 men and women. In short, this shows that physical activity has a direct effect on the presence of inflammatory markers in the body. So, where do standing desks come in? Standing desks promote increased physical activity. And while it may not be the moderate-to-vigorous activity mentioned in the study, standing desks do increase energy expenditure when compared to sitting. This means the use of a standing desk – even if only for part of the workday – may lead to reduced inflammation and contribute to hair growth. With the benefits of standing desks now better understood, let’s look at the ways you can improve its use. To get the most from the standing desk, you’ll want to focus on one major thing: posture. Posture is the way you carry yourself, and it’s not uncommon for office works to slump throughout the day. This can cause tension on the back and neck, and it can also reduce respiration rate (which has its own poor effects) (14). By maintaining a proper posture throughout the day, and especially while at your standing desk, you’ll reduce the usual aches and pains. This will also make it easier to maintain standing for longer periods of time which is beneficial in the long run. Keep your feet shoulder-width apart and bend the knees slightly. Maintain a straight back by pulling your shoulders back. Use the balls of your feet to hold the majority of your weight. You ultimately want to focus on maintaining a straight back, a relaxed neck and head, and relaxed knees. There’s nothing worse than standing for long periods of time in uncomfortable footwear. This is why you must choose your footwear carefully. There is no one shoe that is comfortable for everyone. Instead, you’ll need to test out various shoe types yourself. However, one thing to look for when shoe hunting is how the shoe distributes your body weight. A shoe that puts the majority of the weight in one area – such as the heel, or the toes – will lead to pain and discomfort over time. While you want to focus on maintaining good posture, you’ll also need to vary your stance from time to time. This will enable you to stand for longer periods of time without too much discomfort. The stance itself does not matter (as long as you maintain a straight back). Instead, you want to focus on how you shift your weight. The proper way to shift your weight as you stand is to shift from the toes to the heels, or from one foot to the other. These movements will enable you to maintain proper posture and will also offer the most relief. Aside from wearing the right shows and varying your stance, another way to stay comfortable at your standing desk is to use an anti-fatigue mat. These mats work by absorbing shock and reducing muscle fatigue in the legs and lower back (15). The best mat for you is the one that helps you to reduce certain activities such as weight shifting. However, studies have shown there is not much difference between commercially-available mats when it comes to improving discomfort (16). The longer you stand, the better. But this doesn’t mean you can’t take breaks throughout the workday. For people who are new to standing desks, it’s important to take breaks as you get used to the new setup. This will enable you to maintain a proper posture (as fatigue can lead to leaning) so you can experience the greatest benefits. There’s no doubt that sedentary behaviors – including sitting for long hours throughout the day – contribute to many negative health effects. But one effect that is often overlooked, or even unrecognized altogether, is its impact on hair health. Sedentary behaviors can contribute to high stress levels, increased bodily tension, high blood sugar levels, and even inflammation. 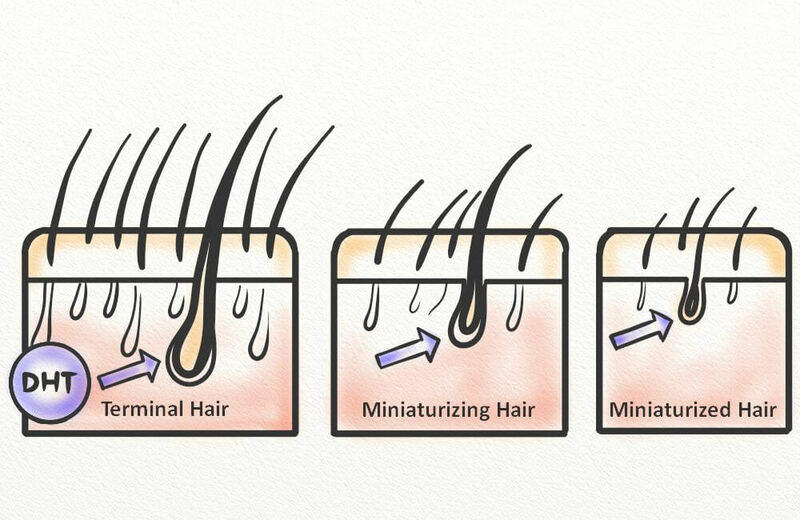 All of these factors can play a role in hair loss. An easy way to increase activity and improve your overall health is with the use of standing desks. While they won’t heal all of your maladies, they can improve many of the factors mentioned above.